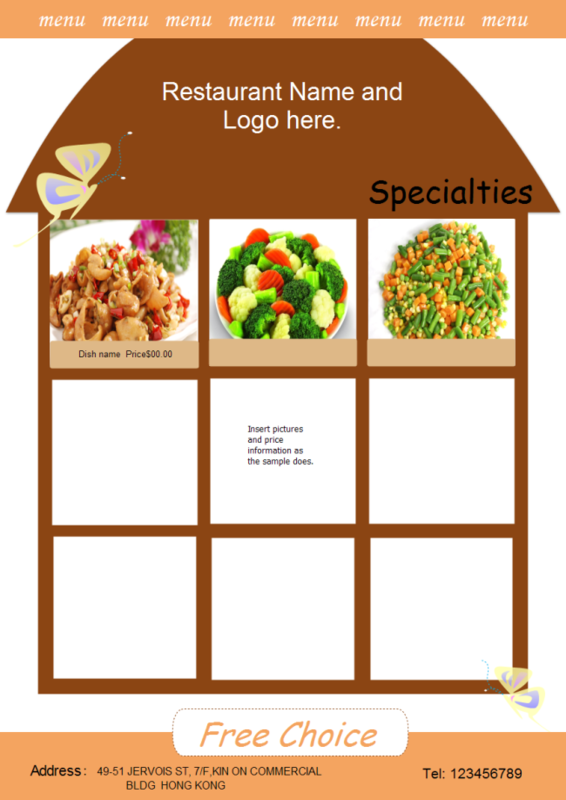 Do you want to create an attractive menu? Follow below 7 important tips to make your own catchy menus! As the saying goes “good wine needs no bush”, but it may not apply to all situations. Good dishes will not get known by customers if there is no catchy menu. Great restaurant menu designs can enhance a dining experience, help customers makes satisfying choices and stimulate appetite. Following are great tips for creating catchy menus. Customers would be interested neither there is too much text and too many images nor there is too little content. Organize and edit your information in a good manner before beginning the design process and ensure to make it easy for customers to find what they want and don’t overwhelm your patrons or yourself. It’s a good choice to hire a professional photographer to take photos for your dishes rather than just taking images by your phone and putting them on the menu. Each image should be well photographed as beautiful and tasty dish photos matter a lot for casual eateries and particularly takeaways. After meeting the criteria of organization and images, it is time to choose a proper color scheme and pattern. Lovely decorative patterns and high contrast colors will help your menu stand out from various common menus easily and promote your brand to some degree. Customer may lose interest if there is nothing catches their attentions after going through the menu. So if something is important - highlight it! Highlight will help to create the first impression. Why not highlight your best-selling dishes, special dishes and new arrivals? Studies have shown that customers are more likely to spend more when there is no currency symbols on the menu. So try to leave currency symbols off your menu. The last but not least tip is doing remember to proof-read your menu before printing them as nobody wants to see mistakes. After getting these tips to make catchy menus, why not try to create it now? Click how to create menus to view detailed steps to make menus!